Those were the words captioning Tom Brady’s Instagram post the morning of Friday, Feb. 2. “Still Here,” referring to the New England Patriots continuous dominance of the National Football League; “Never Left,” signifying New England’s defiance of the same tired refrain the talking heads of the sports media world keep repeating. Yeah, those guys—the Max Kellermans and Shannon Sharpes and Nick Wrights of the world—they were wrong. 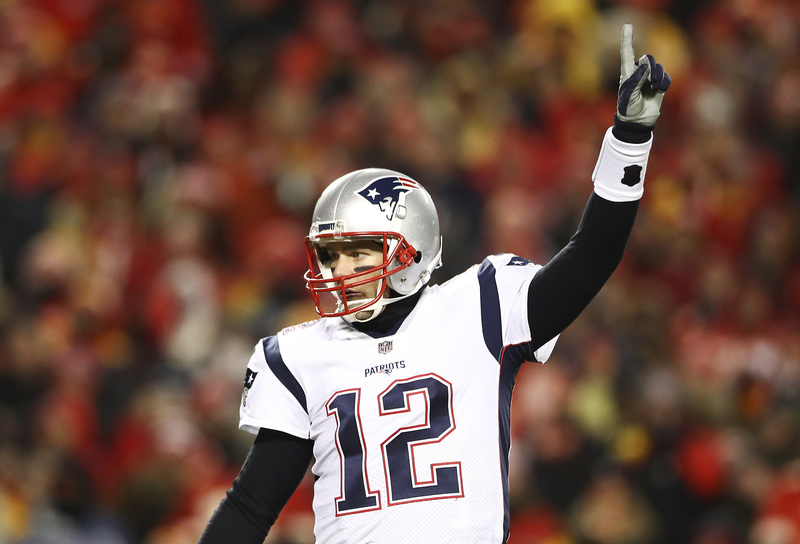 After a postseason run in which they ripped through a talented Chargers team and squeaked past the MVP Patrick Mahomes’ Chiefs, the New England Patriots stifled the Los Angeles Rams to win Super Bowl LIII in Atlanta last Sunday night. With the victory, the Patriots have won their third title in five years and sixth in 18 years, tying the Pittsburgh Steelers for the most championships by any one franchise. Bill Belichick ’75 extended his lead over Chuck Noll for the most championships by a head coach, and gets to rename his boat this summer. Patriots quarterback Tom Brady will receive his sixth ring this coming September, and has now won more championships than any other player. The win solidifies, without a doubt, Brady’s status as the greatest football player in the 99-year history of the NFL. The skinny kid from Michigan, selected with the 199th pick in the 2000 NFL Draft, sits at the same table with Michael Jordan and Muhammad Ali. Haters can hate, of course. Brady, like many elite athletes, is a lightning rod for criticism. But at this point, to scorn Brady is to deny oneself of witnessing true greatness. Why rob oneself of the joy of seeing a single man time and time again exert his will over a league designed to create parity? Granted, Brady didn’t have a terrific game. In fact, compared to his 505 yard performance in last year’s Super Bowl, Brady’s 262 yards with no touchdowns seems pedestrian. In fact, the only real standout performer for the Patriots is wide receiver Julian Edelman, who finished with ten catches for 141 yards and a new trophy that says “Super Bowl MVP.” Of course, any Patriots fan’s response to this critique of the offense is readily apparent to anyone who watched the game. Last week, The Argus published a Super Bowl Preview which predicted the Rams to win, 38-34. The prediction for which team would win the big game isn’t very important; what matters more was the anticipated final score. The Rams featured the league’s second-best offense in a year where yards and touchdowns exploded across the NFL. Lead by star running back Todd Gurley, and coached by 33-year-old wunderkind Sean McVay, the Rams offense seemed assured to put up a big game against an average Patriots defense. The Patriots had Brady, Belichick, and a highly regarded offensive coordinator in Josh McDaniels. This one had all the makings of a shootout. Instead, we were treated to a 13-3 rockfight, a defensive slugfest that drew the smallest TV audience for a Super Bowl in 11 years. Both offenses struggled throughout the game; there wasn’t even a touchdown by either team until a 2-yard plunge by Patriots running back Sony Michel in the 4th quarter. Rams defensive coordinator Wade Phillips, who had given Brady fits in the past from his time with the Denver Broncos, was masterful, holding the Patriots to a mere three points at the half. Yet it will be Bill Belichick and Patriots defensive playcaller Brian Flores (as of Monday the new head coach of the Miami Dolphins) who will be credited with quite possibly the greatest defensive coaching performance of all time. Most teams in the NFL have a fairly set playstyle and don’t tend to completely change their identities from game to game. This is what makes the Patriots unique; they’re chameleons, changing their gameplans to attack an opponent’s weakness. They’ll buck season-long trends just for an edge over an opponent. Take the Super Bowl, for example. New England fielded an excellent secondary this season, anchored by first-team All-Pro Stephon Gilmore, that employed almost entirely man coverage. Most coaches would simply stick to what works for the biggest game of the season, but not Belichick. The Patriots played zone the entire night, completely befuddling McVay. Rams quarterback Jared Goff was under constant pressure the entire night, while looking at coverages and schemes he never one glimpsed on film. The result was a truly awful game by Goff and the Rams offense. 45 percent of their plays went for 0 or negative yards. They went three for 13 on third down, and never reached the red zone. Goff took bad sacks, threw the game-ending interception, and looked completely overwhelmed and overmatched on the big stage. In the first half, Rams punter Johnny Hekker had more touches than stars Todd Gurley and Brandin Cooks combined. In fact, Hekker probably had the highlight of the day for the Rams, booting a Super Bowl record 65 yard punt in the third quarter. Yes, the game was boring. Yes, the commercials were mostly terrible, except for an incredibly unexpected but perfectly fitting Bud Light/Game of Thrones crossover. Yes, Maroon Five managed to ruin both Travis Scott and disrespect the memory of Stephen Hillenburg in one performance. But don’t let that distract you from the absolute clinic Belichick, Flores, and the Patriots defense put on Sunday night. Don’t let this game stop you from realizing the gravity of what the Patriots have accomplished in a league built to stop the Patriots from happening. And don’t let your hatred blind you to the fact that we have the fortune to watch one of the greatest athletes of all time defy Father Time and continue to push the limits of human achievement in sport. The New England Patriots are most definitely still here. And they’re never, ever, leaving.